Making good progresssubmitted by Samantha M. - Apr 11, 2019 |Recommended: YesNice community. Thanks to Lisa Reyes, I am very satisfiedsubmitted by Sean M. - Mar 25, 2019 |Recommended: YesEverything I need, with an amazing staff. Lisa, Tahisha, Rick, and Lisa are all amazing. They have been helpful, reliable, and energetic whenever I need something. When you come here, you are in great hands. It is a safe apartment but small inside, walls are thin can hear everything.submitted by Laura G. - Mar 22, 2019 |Recommended: Yesyes, like i mention is safe, clean. Great appartment except for neighborsubmitted by Eric F. - Feb 09, 2019 |Recommended: YesIt is a very nice place but my upstairs neighbors I can hear them walking around a lot and there dog to. Also they have had pumpkins on their porch the entire time I've lived here and they are rottinga and it is running down into my windows and it also looks like it is rusting the porch as well. Really compare this place with other properties before leasingsubmitted by Destiny R. - Feb 07, 2019 |Recommended: YesMy husband and I kind of rushed into getting this apartment since we moved from another state and we didn't have time to look at other properties and they had an apartment available right away. Their one bedroom apartments are good for 1 person, not good for couples. The kitchen is extremely small. Two people can barely fit in it at the same time. They also don't include the amenities like the pool use or the gym, and there are plenty of other properties that do. I can hear my neighbors pretty well from all sides, so the walls are pretty thin. They don't allow free printing or faxing from their leasing office which is really a problem if you don't have that capability elsewhere. They do keep the grounds up, the security doors for the buildings are nice, and they don't look bad from the outside. For the price we pay, more than 1000, we did expect more than what is offered. Safe and amenitiessubmitted by Myreta C. - Dec 05, 2018 |Recommended: YesI feel safe and love the gym Ample parking.  Good area and beautiful placesubmitted by Javier M. - Oct 04, 2018 |Recommended: YesThe best Lehigh Square have is the service of Taheesha. She's excellent. Too expensive for what you getsubmitted by Anthony D. - Aug 31, 2018 |Recommended: Nosmall and expensive. even before your lease is up you need to give them 60 days notice or you get charged 2 more months even if your not living here anymore and at a higher rate than the already expensive price that it is. i've paid this price before but received way more space and rooms. neighbors constantly blaring music on weekends till 4am and the walls are paper thin.